Does Your Wedding Need a Sound System? If you’re reading this, it’s probably that your wedding plans are almost done. The venue, catering, photos and videos may have been all set, and you’re wondering what else you need for your wedding. What probably is not included on your list is the lights and sounds. Well, guess what, you are missing out the part that will make your wedding extra special and that will leave a lasting impression to your guests. Is sound system for you? Before going out and start looking for a sound system rental in Singapore, figure out first whether getting one is suitable for your wedding. 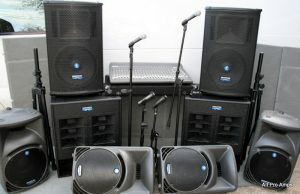 Here are four important points to help you figure out whether a PA system rental makes sense. If you’re ceremony or reception—or both—will be held outdoors, you definitely need good AV equipment. This is the best way for your guests to clearly hear you and cancel out sound distractions to keep everyone’s attention on you. If your wedding is going to be a big affair, with no less than a hundred guests, then you will need the help of AV equipment rental. You want to keep everyone in the mix by providing audio-visuals that can clearly be seen and heard by everyone. If the church (or any wedding location) has very long aisle, some of your guests will have to seat far at the back—but of course, you still want them to clearly hear what’s happening at the front with an AV equipment rental in Singapore for them. Even if you’re planning to ask the readers and everyone who will speak to maximize their voice, many of your guests will still not be able to hear. When it comes to the wedding reception, a lively and celebratory mood makes the whole experience memorable. After all, this is one of life’s triumphant moments, so why not go all out and up the mood with music. Whether you want to play jazz or pop or any other genre of music, you need excellent sound system to ensure quality of sounds. 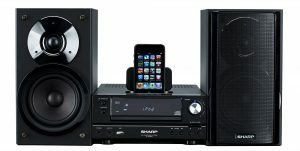 What consists a good sound system? A good sound system should have enough microphones for the event. The officiant, the bride and the groom and the family and friends who will be giving their speeches are the people who will need them. Your AV equipment rental company should provide at least two clip-on lapels and one handheld microphone, which may come with a stand. The mixer is the core of the sound system; it is where the sounds and music played over the speakers are created and controlled. Although they come together, they don’t have to be installed next to each other. The speakers can be strategically placed in areas where sound is needed, while the mixer can be in a hidden area where there’s less traffic. Some sound system rental companies in Singapore can lend you a system and let you fend for yourself, while others provide a sound system with professional sound technician. The best way to go, of course, is to find an AV equipment rental with sound technician, especially if your wedding is outdoors. A strong wind can easily make the things noisy, and every person will need the microphone set at different volume levels. 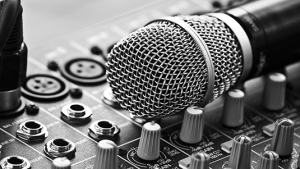 Let a pro take care of your sound and music needs, who is not also juggling other responsibilities. What to Consider For Wedding Reception Sound System? Make sure to have enough power and speaker size for your entire party. When meeting with your rental company, mention the type of venue you will be using and the number of guests you’re expecting to come. These professionals can do the estimate of the size of sound system you will need for your wedding reception. The arrangement of the speakers depends on the intended use of the system. For a traditional wedding reception with dancing later in the night, the speakers will be placed somewhere near the dance floor for maximum volume for the music. If it’s just background music you need, the speakers will be spread out to ensure even sound coverage throughout your wedding. Most of the time, two speakers will suffice, but you can always ask your PA system rental company if you think you need more. The wedding rehearsal exists for a reason. We can’t recommend enough to have your AV equipment rehearsed. This allows you—or the person in charge—to get acquainted with the system and also check for any damaged or non-working components. It would be helpful to have your sound system set-up earlier to give you some time for practice. Wireless microphones are more practical than the wired ones. If you’re experiencing odd noises or unstable performance, the cause is typically interference from other digital devices. Some mobile phones interact with AV equipment, so make sure that the system in-charge does not have his cellphone with him or ask him to turn his phone off. A sound system may be the lamest part of wedding planning, but trust us, not having one would be the biggest regret of your life. Aside from not being heard clearly by your guests, a poor sound quality will show up on your wedding video, which you’d surely don’t want to happen. The tradition of wearing a white wedding gown started during the 18th century when Queen Victoria decided to wear one on her wedding with Prince Albert. Since then, most women see full-length wedding gowns with long trains as a bride’s must-wear garment on their wedding day. However, with the evolution of wedding fashion, full-length gowns are no longer the only wedding garment option for brides. Bridal pantsuits and coloured wedding gowns have started to emerge from the runway, and an increasing number of Singapore brides have been considering these wedding outfits instead of the traditional ball gowns. If you’re a modern bride looking for a contemporary wedding wear, then here is a list of bridal gown styles that might fit your bold move. Not a fan of a floor-length ball gown but still want the princess-ey feel of its fullness? You might like the cheekiness of a ballerina wedding dress. This fun and flirty wedding dress style is akin to a ballerina’s tutu skirt. Match this dress with a pair of ankle strapped heels for a cute and sassy look. Blush, powder blue, and dove grey are the popular pastel colour alternatives at whitelink bridal and photo studio in Singapore for white wedding gowns. These colours are the most common choices for modern brides who aren’t too keen to wear a traditional white gown. Others even go as far as donning a black wedding dress for an ultimately unique and one-of-a-kind bridal gown. However, if thinking of wearing a black wedding dress, make sure to ask your family and future-in-laws if they are okay with it as the Chinese see black hues in weddings a bad omen. Other than sporting a pastel-coloured wedding dress, a more subtle alternative would be accessorizing or infusing coloured prints on your bridal gown. You can go for floral prints or coloured hems to add a splash of colour to your bridal wardrobe. Consider going for a cute knee-length dress for your intimate wedding instead of a full-length ball gown. Knee-length dresses are not only venue and weather appropriate, but it also allows brides to move freely and comfortably without worrying about tripping over or damaging the dress. Years and years ago, it was only the groom who wear pants on the wedding day. But today, brides with an extreme fashion sense can wear one too. A jumpsuit or pantsuit wedding wardrobe is ideal for brides who are not fond of wearing skirts or who wants an illusion of extra length. Pair it with killer stilettos, and your no-ordinary-bride look will be the talk of the town for months. Another option for brides with modelesque pair of legs is a romper or top-and-shorts dress ensemble. This outfit is perfect for more casual weddings, such as those set in a beachside venue. The shortness of the wardrobe and the lightness of the material used in most romper dresses let you move freely and stay cool in humid weather. To add an air of youthful femininity and romance, opt for lace-patterned rompers. For Singapore brides who want to pull-off a vintage look, a tea-length bridal gown always lend a retro look and feel to anyone wearing it. This feminine dress style will not just bring out your inner Audrey Hepburn, but also offer an excellent compromise between a floor-length and knee-length wedding gowns. It also has the convenience of being a short dress but one that retains the elegance of a full gown. 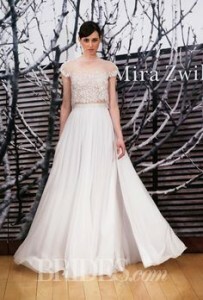 Whether you just love pairing a top with various skirts like the Logan and Devin skirt of Della Giovanna, or just fancy the combination of a belly-baring crop top and a full-length skirt – it’s undeniable that two-piece wedding gowns will provide you with countless wedding wardrobe choices to choose from. With a two-piece bridal outfit, it is also easier to change from your solemnization wardrobe to your party dress. When you search for your wedding dress, do not limit your options to full-length wedding gowns. With today’s fashion trends, more talented designers, and more colourful wedding industry, the sky is your limit when it comes to picking your wedding dress.